3 years have passed since Legendary Wars was launched on the App Store. 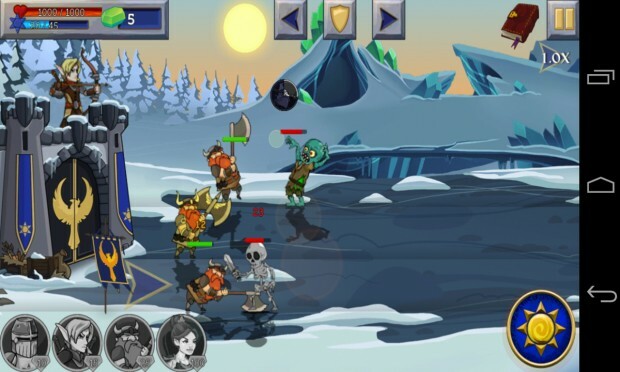 This month, Android gamers should rejoice as this strategy title is now available on Google Play. The Play Store may be overcrowded with castle defense games but this game has combined a number of genres (action, RTS , RPG and side-scrolling platformer) effectively. Liv Games‘ debut game has done a lot of things right. In Legendary Wars, you will take command of an army as Lucas, a supposed heir to the king’s throne, with a vast world to explore. You will control various heroes including knights, archers, dwarves, wizards, healers and mythical creatures as they battle it out against hordes of undead. 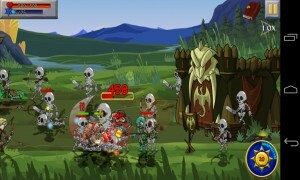 Loaded with 70+ levels, this game also has multitude of extra modes and mini-games that try to freshen up the gameplay. 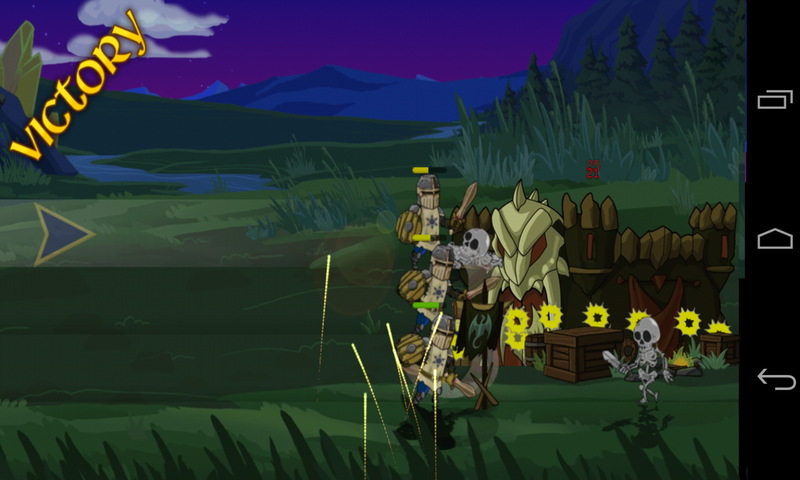 I applaud the developers for trying to avoid repetition which seems to be the case for castle defense games. To start with, players select the heroes they’d like to put up in the battlefield (you’ll be able to unlock more characters as you progress). Then, you’ll begin with a miner that gathers resources. Use the gold to train units and build your army. 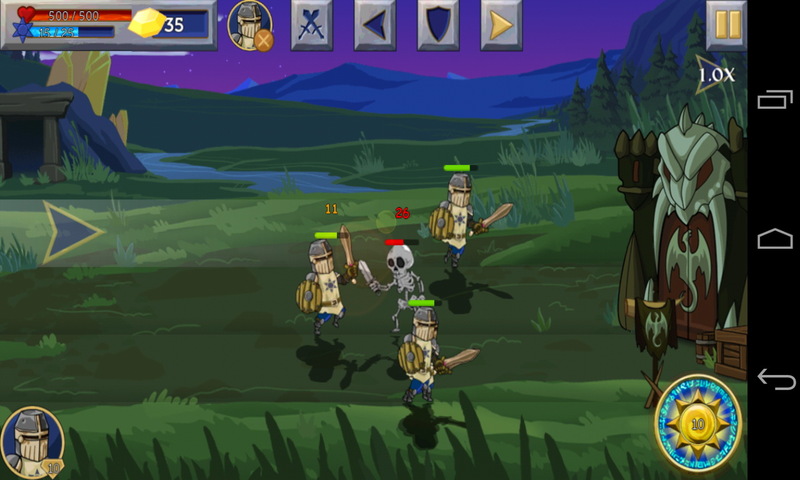 Just tap on a unit and you can order them to switch lanes, attack an enemy or defend your castle. This simple control scheme gives you the ability to micromanage and takes advantage of situations on the fly. 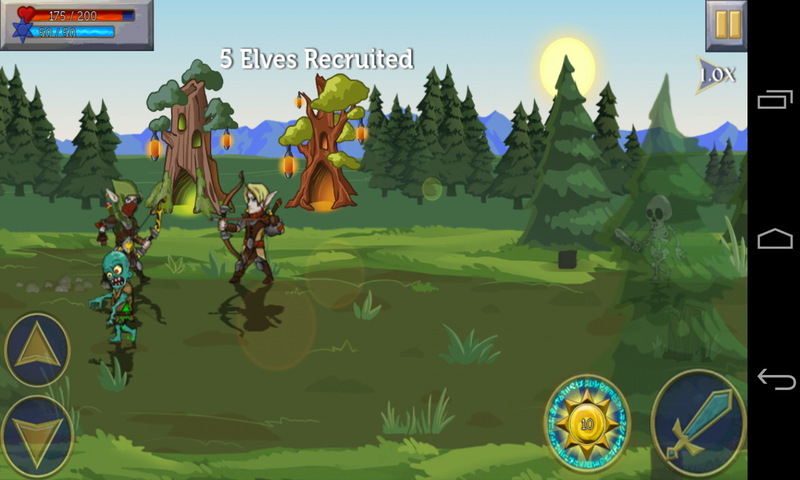 If you see an archer coming your way, you can control your unit to change from lane to lane to avoid their straight shooting arrow. Whenever you kill an enemy, your mana bar will be filled up. This can be used to perform a special attack by tapping the button located on the bottom right corner. 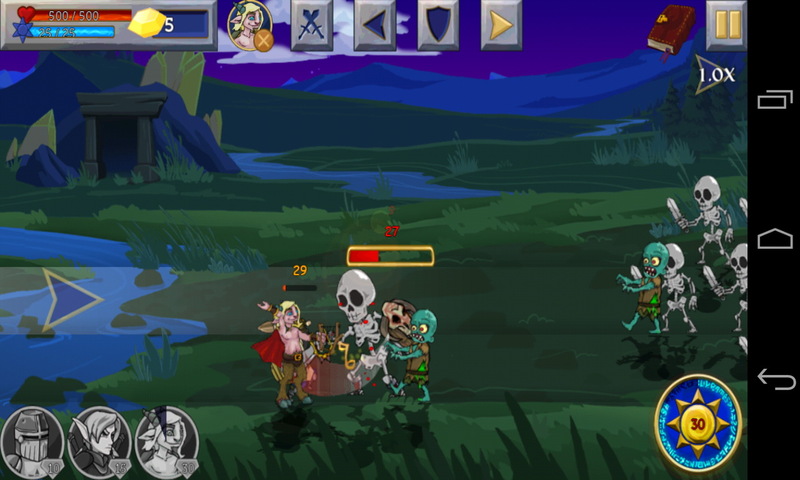 At the end of each level, you will be awarded with gems which you can utilize to upgrade your heroes’ skills consisting of attack, defense, and health points, among others. Interestingly, the game features a three-lane system where your units can travel from left to right or they can switch lanes up and down. On paper, it may sound clever but there will be times that you might get frustrated micromanaging your units separately. 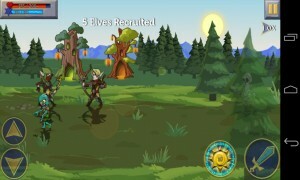 Luckily, the developer has incorporated an “enemy targeting” option and group commands. 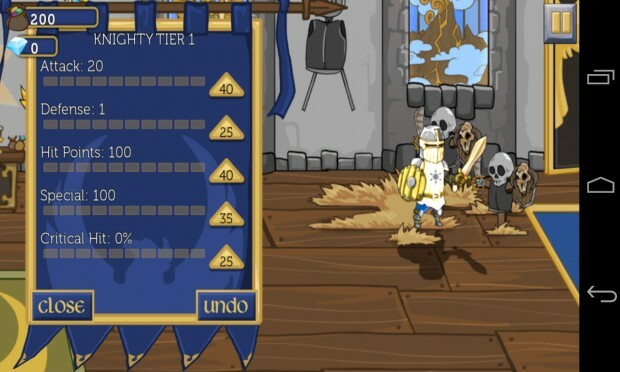 You can set the enemy targeting to automatic which allows your troops to better defend your castle. Sometimes they change lanes without having your input, however, on occasion, it doesn’t work each time. Nevertheless, it eases your workload making the game more fun to play. Also, the group command work flawlessly. 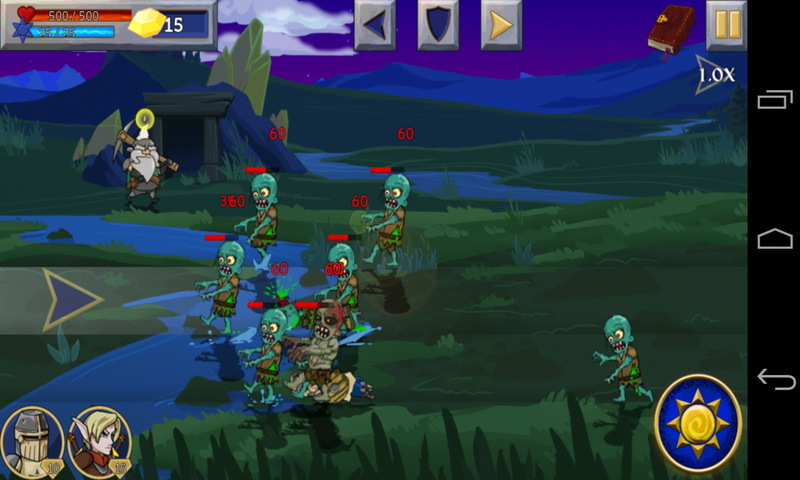 When you tap on a soldier, you can direct all of the units of the same type at once. It’s a smart feature as you can just direct your knights to always go forward while the dwarves can act as your castle’s last hope. Aside from occasional control issues, the dialogue sometimes uses words that try to be cute. Kids might like it, but adults might get annoyed. In addition, you would probably consider the storyline average at best though it’s light-hearted. 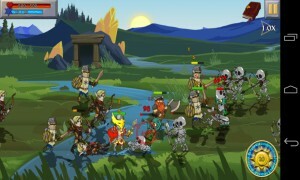 All in all, for only $0.99, it’s hard to go wrong with Legendary Wars as it’s not your usual castle defense game. As soon as you finish the campaign mode, replay value will be unlocked as more game modes will be introduced. This Android game has mixed various genres almost perfectly with plenty of content to delve into. 3 years is definitely worth the wait.